and sporting values in spearfishing. 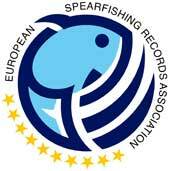 that allow the approval of exceptional catches as European Record. Records homologation is free. Diplom and Trophy are paying. ESRA develops its activities in collaboration with scientific and environmental organizations, promoting spearfishing practices that meet the highest ethical standards, scientific and environmental, through education and promotion of selective spirit and environmental responsibility in spearfishing.